FEATURE: Gresham's debut SAINTS.com.au cameras follow Jade Gresham as he counts down to his St Kilda debut against Port Adelaide at Adelaide Oval (Round 1, 2016). Yesterday and the day before I wasn’t too nervous, but today it sort of hit me. But I thought I handled it alright. 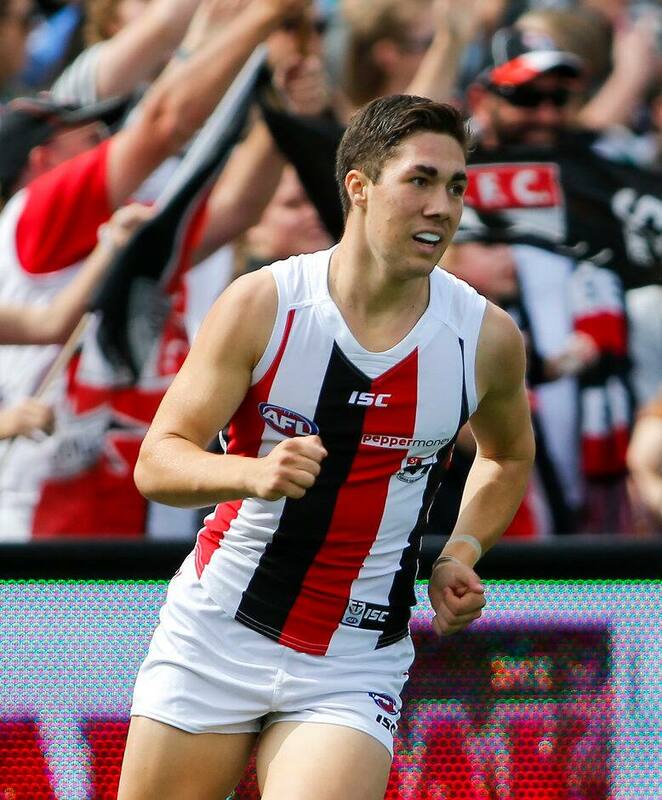 On a day where St Kilda celebrated one of its greats in Leigh Montagna’s 250th game, another small midfielder from the Northern Knights entered the AFL stage, with 2015 first-round draft pick Jade Gresham debuting on Adelaide Oval. A prolific accumulator during his junior career, Gresham earned an opening round debut against Port Adelaide following an impressive maiden pre-season at Linen House Centre. Last year’s Vic Metro MVP made an encouraging start at the elite level, kicking a goal with his first kick in league football, to go with nine disposals, four tackles, and a goal assist in limited game time. An opening round debut against Port Adelaide inside South Australia’s sporting epicentre presented an intimidating challenge for not only a first-gamer but even the most seasoned player yesterday and the day before I wasn’t too nervous, but today it sort of hit me. But I thought I handled it alright. But Gresham revealed he managed his nerves as best he could in the lead up to Sunday’s game. “Yesterday and the day before I wasn’t too nervous, but today it sort of hit me. But I thought I handled it alright.,” Gresham told saints.com.au following St Kilda’s first round loss on Easter Sunday. Gresham played in both of St Kilda’s NAB Challenge clashes, but despite that brief exposure to senior football against North Melbourne and Melbourne, he said the step up against the Power was ‘massive’. “It was a massive step up - the intensity of the game,” Gresham said. The 18-year-old spent the duration of his debut playing at the feet of Nick Riewoldt and Josh Bruce, working alongside two young livewire forwards in Jack Billings and Jack Lonie. Gresham said the direction and guidance provided by those two small forwards helped him navigate through a testing debut in South Australia. “They’re really good in telling me where to go and just always keeping me on my toes so they’ve been really good,” he said.